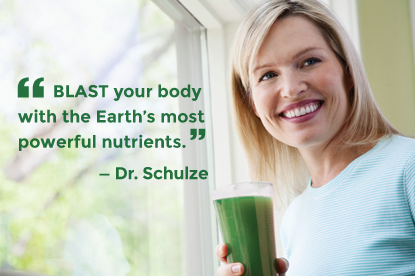 Your body demands a rich supply of nutrients in your blood at all times to manufacture everything including blood cells, hormones, immune cells, bone cells, brain cells—everything! Having a rich supply of nutrition in your blood gives you energy, vitality and strength; protects you from disease and illness, and if you get sick, speeds up your recovery dramatically. I had many patients who were dying, because they had run out of blood and cell-building nutrition. SuperFood Plus mixed with fresh, organic fruit and vegetable juice succeeded where everything else failed. It was able to get nutrition into their weak, starving blood, and into their cells and organs. SuperFood Plus created healing miracles and saved lives. Soon afterward, I started prescribing it to my patients who were not as ill, and even to my healthy patients. Everybody saw a remarkable increase in their energy level, their vitality and their general level of health, not to mention their skin, hair, nails and the way they looked. I then prescribed superfood Plus for the old and the young, the sick and the healthy, to all of my patients and even all of their pets. The results were nothing short of life-changing. 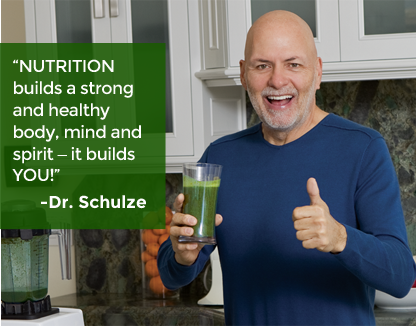 In the early 1970s Dr. Schulze opened his first Natural Healing clinic in New York, and then a few years later, he moved his clinic to Southern California. He operated his Natural Healing clinic in America from the early 1970s to the mid 1990s. During this same period, he also managed and directed other Natural Healing clinics in Europe and Asia. In his two decades of clinical practice, he has treated literally thousands of patients. Dr. Schulze maintains that he learned 5% of what he knows from school and 95% in the clinic, and always credits his patients as his real teachers. Without a doubt, his real-life clinical experience is what sets him apart from other doctors in his field.